Luckily it is time for another month of Two Sweetie Pies! 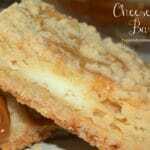 Another month of 2 Sweetie Pies with That Skinny Chick Can Bake means another wonderful dessert! Always a success when you bake from Liz’s blog! Each month we bake up a recipe from each other and keep it a secret until reveal day! Super fun! 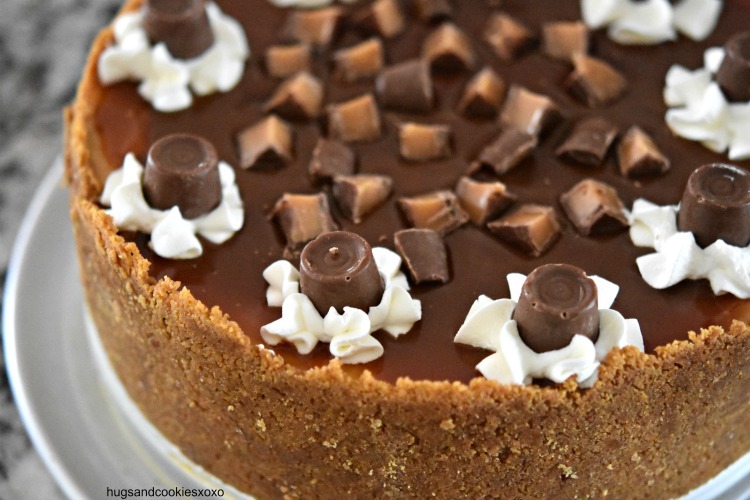 This month I went with a Rolo Caramel Cheesecake. It is no surprise I love eating cheesecakes, baking cheesecakes and sharing cheesecakes with friends. 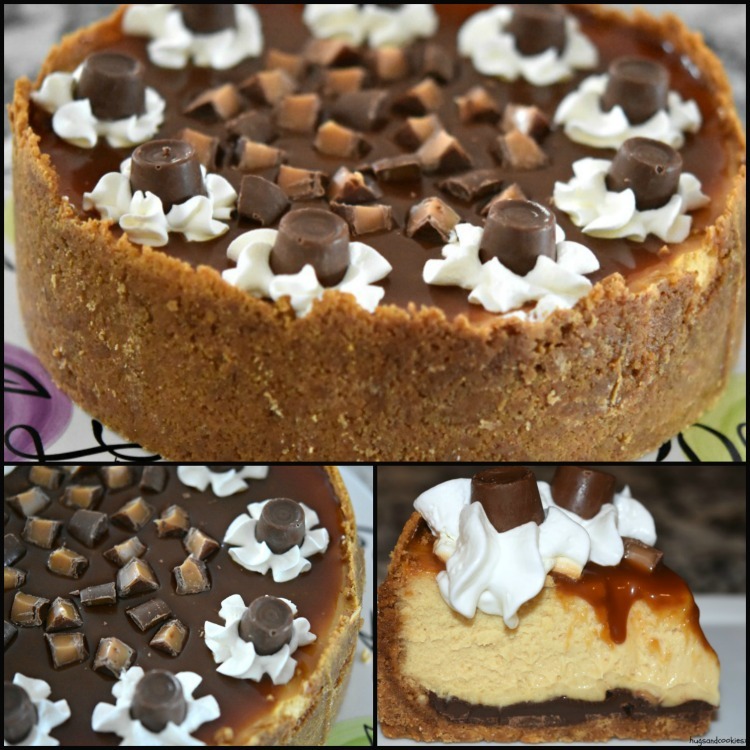 This cheesecake was yet again the star of a family party! Making the caramel for this cake was also surprisingly easy. 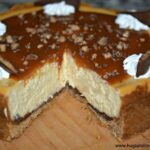 It made my usual “easy caramel” look not so easy and I think this will be my new go-to caramel recipe! The cake has a huge, gorgeous crust which adds to its beauty and melted chocolate chips on top of the crust. Once chilled the chips become a candy layer. 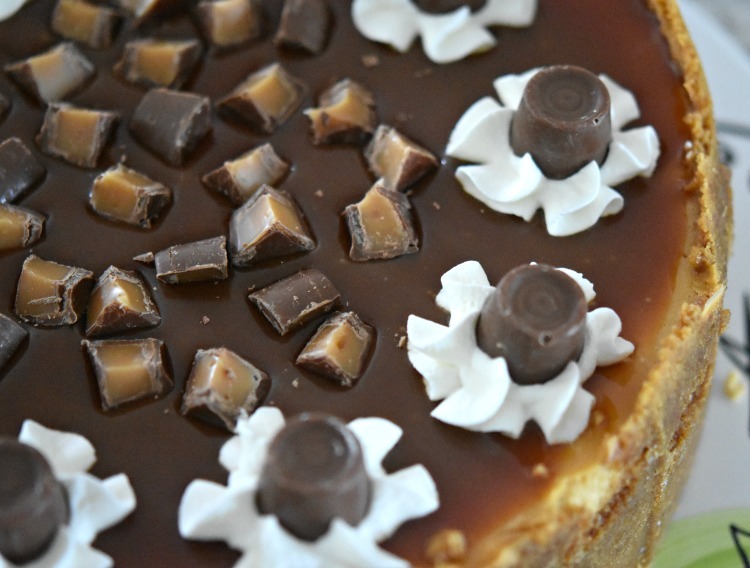 The rolo caramel cheesecake itself is truly authentic, rich, creamy, scrumptious! The entire cake gets topped off with some whipped cream rosettes, more homemade caramel and Rolos! A serious cake for anyone you want to spoil! Thanks once again Liz for a crazy good winner of a cake! In a medium saucepan, combine the sugar and syrup. Cook on medium heat, stirring occasionally with a rubber spatula. Once it is caramel colored, remove from heat, add the butter and stir until the butter is melted. Add the cream and stir until it's all combined. Store in the refrigerator if not using right away. Makes about ¾ cup. 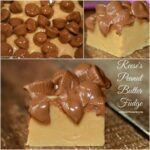 Can be made days ahead, just microwave to soften when ready to use. Combine crust ingredients except the chocolate chips. Push all the way up the sides and press in firmly. Sprinkle with the chocolate chips. Set the springform pan on a baking sheet (some butter will leak from the pan). Bake for about five minutes or until the chocolate chips are soft. Smooth them out with an offset spatula. Place it in the freezer while you prepare the filling. Beat the cream cheese, sugar, and sour cream for a few minutes until the sugar is dissolved. Add the vanilla and caramel and mix well. Add the eggs one at a time and beat just until incorporated. Place the pan into a cheesecake moat and fill sides with hot water OR Wrap the exterior of the pan in a double layer of foil and place in a larger pan (roasting pan) filled with an inch or two of hot water. Bake for 1 hour and 30 minutes -1 hour and 45 minutes in the 300º oven. The center will still be wiggly, but it shall set in the end. Remove from the oven and cool. Pour on the rest of the caramel. Pipe on some whipped cream mounds and decorate with toffee chunks and pieces. 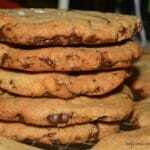 *the chocolate chips make slicing difficult once firm, so bring cake to room temp before slicing or spread fewer chips over the crust. 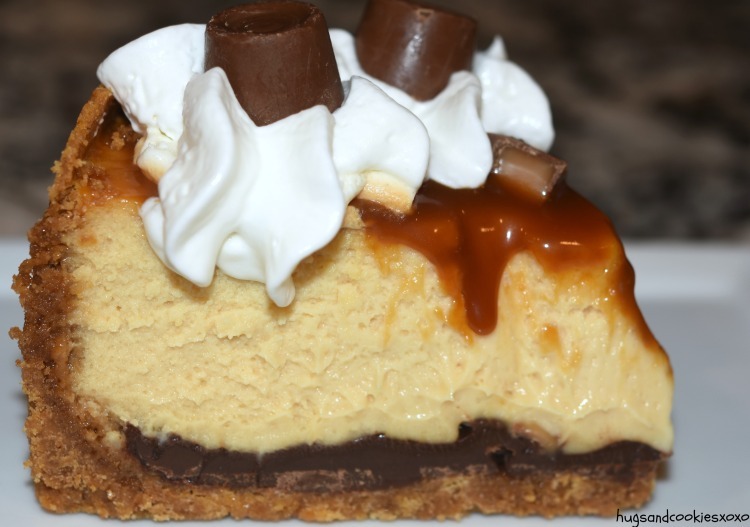 I would like: Yesterday’s Facebook post of cheesecake (October 27) It had a thick chocolate ganache’ on the top, a graham cracker bottom. What happens if you leave out the eggs and don’t realize it until after you have baked it. uh oh, how’d it go? Actually it was still very good. 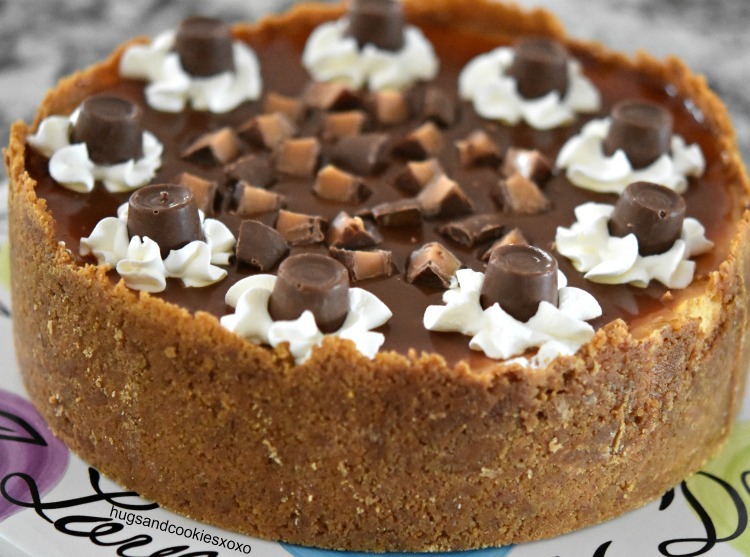 More like a no bake cheesecake (even though I baked it). Everyone loved it!